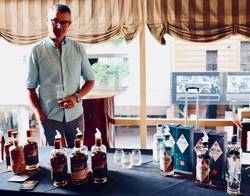 If you are not averse to enjoying a good dram, visiting a well-curated whiskey festival is a delight as a potpourri of open bottles with the old faithful present themselves with new expressions one has not had the opportunity to sample before. 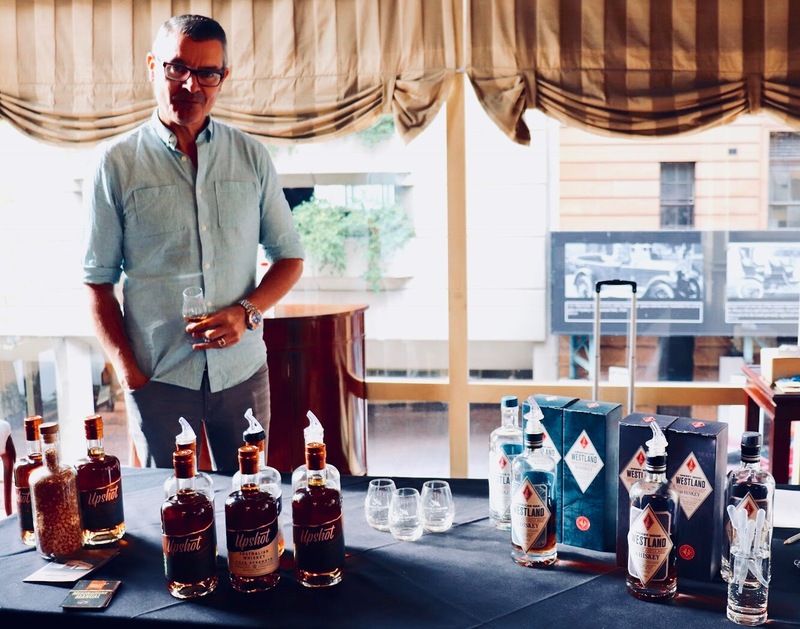 On terra australis, the ever evolving Alchemist Events’ Liquor Shows under the benign guidance of maestro and whisky connoisseur par excellence David Ligoff, co-founder of the only specialised whisky shop in Australia, i.e. 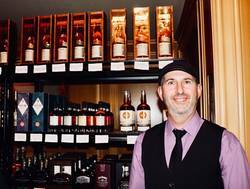 World of Whisky, have become a veritable juggernaut, with shows held throughout the year changing the foci from whiskey to gin and delightful quality libations in between. 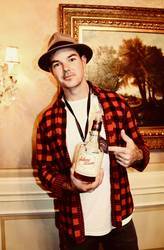 This time Whiskey! 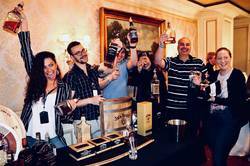 The Show was a celebration of bourbon, rye and American whiskies. Around a dozen of different exhibitors showcased a selection of new releases alongside old favourites and staples known from your liquor cabinet sourced from the USA and Canada, with all whiskey samples being included in the ticket price and a pop-up shop selling whiskies at discounted prices as you exited through the gift shop. 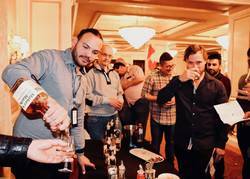 With a focus on bourbons, the list of exhibitors read like a who’s who of the industry. 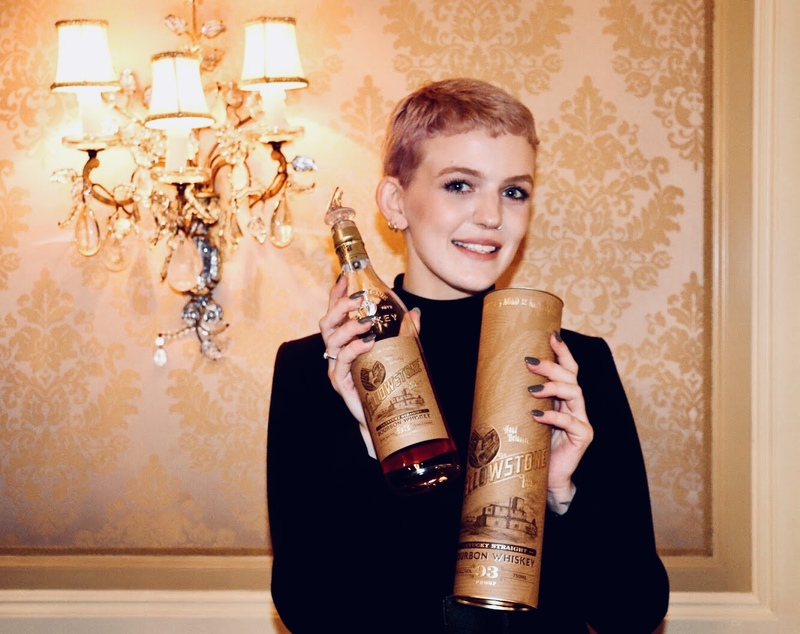 Legendary distillers, blenders and the biggest names in whisky descended on Circular Quay with an array of over fifty different whiskies being proffered for tasting, flanked by Bourbon and Rye cocktails that were specifically created for the event at the Sir Stamford’s Bar. Yellowstone’s Distiller’s Reserve is a smooth, skilfully selected bourbon featuring hand-picked blends of sweet, spicy, and smoky bourbons, each selected to give this golden chestnut coloured whiskey a taste that has nuances of smoked caramel on the nose and finishes in a melange of smoky oak and brown sugar. A delight. Never not a delight is the classic Jack Daniels range, culminating in the homage to old blue eyes, i.e. 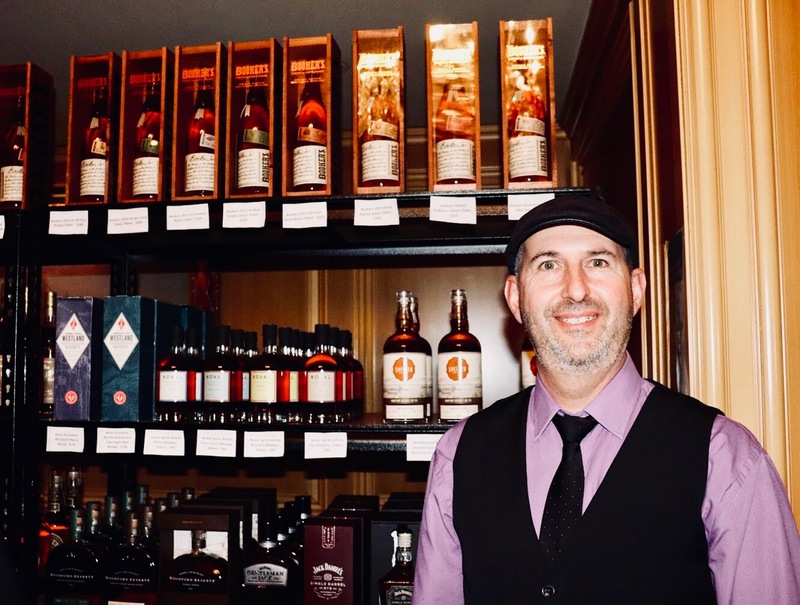 the fantastic Sinatra Select: If you read our feature of the Ardbeg Grooves release, you’d be familiar with the casks being used for this one: Deep grooves are cut into the staves of the casks increasing the amount of exposure the whiskey has to the wood. The result is a warm and rich marriage of caramel, hints of smoke and vanilla. Dangerously more-ish and one for special occasions. The fulminant finish of the event came courtesy of Willet Distillery: Their 3 Year Old Rye is created with stock distilled after their re-opening in 2012. Following a first distillation taking place in their 60-foot tall column still, following by a second distillation in a copper pot still and rounded out with a maturation in white oak barrels with a level 4 char. The result makes one contemplate on finding the right vocabulary to do it justice as it takes you on a journey running the gamut from sweet to savoury, spicy to fruity along with a herbaceous palate and a peppery sweet finish. 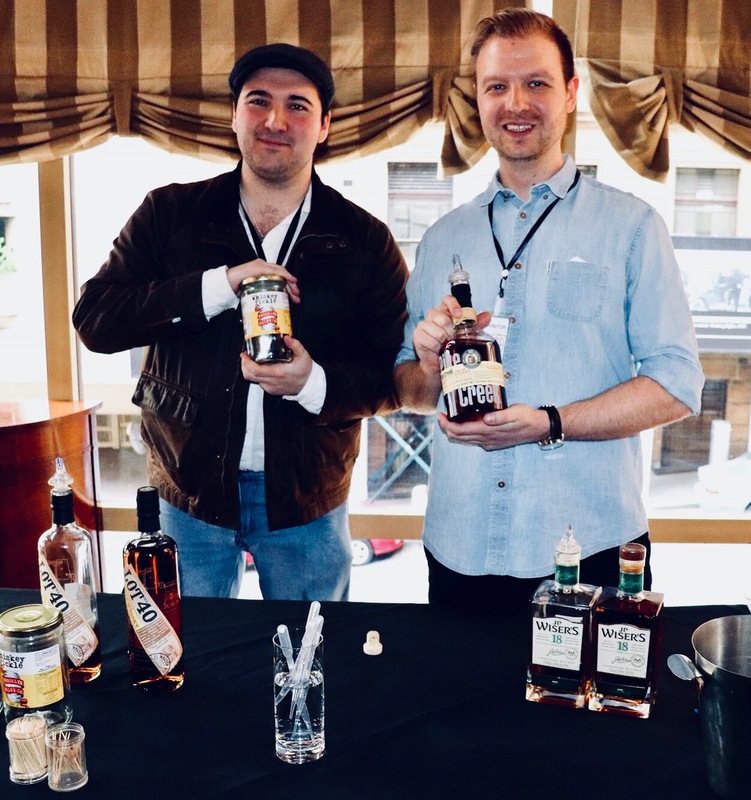 Not unlike with previous incarnations, The Whisky Show has once again proven why it has established itself as a go-to event for anyone remotely into the water of life. Given that David Ligoff and his team like to keep things interesting by curating each event, one cannot wait until the line-up for the next event will be released. Until then one of Alchemist Events’ cheese and whisky tastings shall tide us over.